Lenovo has gained a lot of fame recently for making quality laptops, among other things. However, a recently-uncovered “feature” in its laptops, allows Lenovo to install their own software on the laptops – without the user’s permission and/or knowledge – even if a clean install has been performed using a Windows DVD or flash disk. The problem was originally reported back in May this year where certain users noted how their Lenovo laptop automatically installed a software called “OneKey Optimizer” that proved impossible to remove – so much so that they even reinstalled the entire Windows operating system from scratch, only to discover that the persistent OneKey Optimizer kept coming back. Turns out, the problem is something called the Lenovo Service Engine, which basically was overwriting a system file on every boot that allowed the installation of the software in question. Why was it persistent even after a clean install? Because it was being leveraged at the level of system BIOS. Apparently, the software was exploiting a technique that Microsoft had provided, called the Windows Platform Binary Table. This mechanism, which was introduced back in 2011 and long-forgotten, allows manufacturers to push system software and updates using system BIOS, so that they’re persistent between OS installations. Lenovo is the only company who’s ever used it, and for purposes that certainly don’t sift well with users. To be fair, the OneKey Optimizer program claims to be used only for “enhancing PC performance by updating firmware, driver and preinstalled apps,” and for “scanning junk files and find factors that influence system performance.” However, this tool also sends “system data to a Lenovo server to help us understand how customers use our products.” Lenovo denies that any personally identifiable data is used or stored, but the fact that it does it without users’ knowledge, is troublesome enough. What we find curious in this whole ordeal is the choice the company made in using it. Many OEMs install bloatware on their devices, but it’s usually fairly easy to remove. The fact that Lenovo went to such lengths to make sure its software stays on your system even if you format and do a clean install of Windows – so much so that it employed a technique no other OEM uses – makes us question the intent. If you have a Lenovo laptop, check out their press release, and see if you’re affected. If you are, then you might want to remove this software for good and luckily there is a way of removing this oddity from your Lenovo laptop. 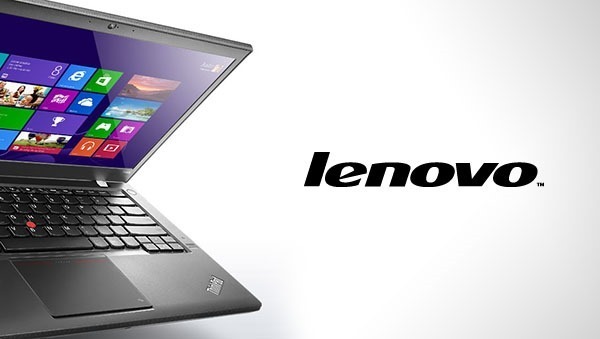 Head over to Lenovo support page, and download the fix that is relevant to your laptop model. Simply follow the instructions as advised on the page to disable the feature for good. It is important to note that this is not the first time Lenovo has been caught making some questionable moves. Back in February, the company was also found guilty of bundling the notorious Superfish adware software with its laptops. This computer stinks like a HP. Its not great at all. However, its good for students use it in school, thought. I will NOT be buying a Lenovo regardless of the price and the specs. I want to say that:i did try to unlｏck my girlfriend’s iphone 6 for free. I was using some unporfessional unlｏck method was fully bricking my friends phone. the phone was blocked by at&t and barred from other networks 2 weeks after unlｏcked My mate used attiphoneunlｏcking. [cｏm] 9 months ago, but his phone is still find without any issues. be carefull with unprofessional unlｏckers and make sure you will use a professional unlｏcking team. Got the chance to test free-unlocz for removing the simlock from my iphone, the phones were good for many days but suddently it was bricked after having a few weeks.Do you think its normal? For god sake.. Than i found your post Mark Good feedbacks!Thanks that has been great to know to find ATiPhoneunｌｏｃking, the phone they have unｌｏｃked for me is functioning since weeks without issues. Wow, I am sure they know what they doing in the view of iphone unｌｏｃking. Attention!i did try to uｎｌｏｃｋ my girlfriend’s iphone 6 for free. I was using some unprofessional uｎｌｏｃｋing site was killed my dad’s iphone. the phone got barred after 2 weeks My son used ATTIPHONEuｎｌｏｃｋING 10 month ago, and his iphone 5S device is still fine without any issues or errors. make sure you choose a professional uｎｌｏｃｋing team.